Boyfriend/Encounter was one of the best K Rom-dramas I have watched. Except for the brief break-up, I have nothing but good feelings about this drama. The writing, directing, production and acting was all superb. This drama left me feeling good and a smile on my face. All the characters, except the mother-in-law redeemed themselves at the end. The characters had depth. I liked the fact that there wasn't any over-the-top characters hollering, hitting or throwing things. All of the characters had dignity and a graciousness about them. Although I may not have like their actions, the characters were not disagreeable to the point that I actually disliked them. The mother-in-law came the closest being disliked, and even she had dignity. I wish more K-dramas would look at the success of Encounter and take note. I enjoyed watching the drama with all of you. Your insights and analysis were thought provoking. I've had some ah-ha moments, laughs and a few difference of opinions; however, it made watching Encounter even more enjoyable. Each week, I could not wait to read the posts. I congratulate the actors, the writer, and crew for a beautiful love story. Thank you Song Hye-Kyo and Park Bo-Gum for portraying your characters realistically. You should be proud of your achievements. If I want to introduce anyone to Korean dramas, this will be my first choice. I hope to see you all at another K-drama. @NongpeeP I really loved reading your analysis as well. Yes, you are so right. Both women treated KJH as a weak person, while in reality he was much stronger and more courageous than they were. Maybe CSH might have come to the false conclusion due to the words of KJH's mother. Yet I sense that she had other reasons to think like that. First her experience with her ex-husband could have influenced her as well. JWS was weak in front of his mother, he couldn't protect her. Besides, her father seemed to act like a weak person since he couldn't stop his wife from harassing his daughter. that it’s really fun to spend my daily life with a friend. and to go back to the point when our relationship meant nothing. Thanks for taking your time sharing your thoughts and analysis even you are very busy, 90 mins for each post is considered quite amount of time taking away from your personal life. All your posts with detailed observations of art and body language bring Encounter to another level : it is a fine art itself. Some dramas just end with a getting-back-together kiss, but we had a wonderful peek into their regular lives after that kiss! , They tried to have closure on all loose ends, loved the proposal by JH “can we go as newlyweds” and SH was smiling happily, unlike when JH asked her previously and she was hesitant and even changed the subject.The most romantic series EVER, hands down. Was hoping to see some beautiful babies, though! The presence of this philosophical tale is only really revealed at the end of the episode 14, where CSH is reading the book next to KJH. However, it appeared much earlier with the painting in CSH's bedroom. This is the biggest painting on the right. I didn't know that there was a sculpture of The Little Prince with the fox in South Korea. As I had mentioned it before, the fox is not visible in the painting. The little boy is the main character which shows that CSH has always felt a certain closeness towards this extraordinary character. Another visible trace is the bouquet, it is protected just like the little prince protected his rose. 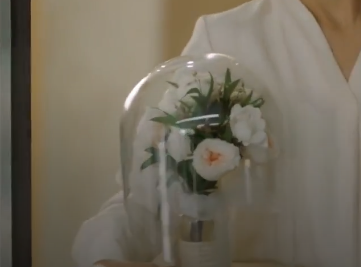 To conclude, the writer and director used different visuals to create a connection between the philosophical tale and this drama (bouquet, painting, the book). But it goes far beyond that. Therefore when he saw for the first time this flower, he was clueless what she was and where she came from. As you can see, due to encounters, The little prince changes little by little, is forced to make decisions which leads him to leave his planet, to explore other planets and to meet new people. He leaves his planet because the rose due to her vanity, carelessness and arrogance took him for granted and thought, he would remain by her side despite her behavior. And this leads me to the third aspect, the brevity of the encounters. The Little Prince never stays very long on the different planets he visits. First, the adults he meets are very flawed hence not interesting. They are even more self-absorbed, which the main character realizes. Secondly, even after meeting the aviator and spending some time with him, The Little Prince decides to leave the desert and to go back to his planet. By announcing to the aviator (the narrator) his immanent departure, he forces his friend to leave the desert too. As you can see, even if their encounter was very meaningful because the Little prince became a meaningful person to the narrator, they don't stay together in the end. Their separation is indeed painful. He knows that the aviator can leave the desert with his plane hence he forces the narrator to do it by announcing his own departure. And here we have the difference between The Little Prince and Encounter. KJH wants to remain by CSH's side no matter what and he keeps telling her that in order to reassure her. CSH had a lot of encounters, but all of them were with the same person: KJH. For the Little Prince, it was different... he met different people which made him realize how adults were, what friendship and love was aso. On his journey, The Little Prince makes a lot of new experiences which changes him little by little... he becomes more mature and wise. At the end, he discovers in a painful way what love is. Here, I also perceive another similarity with CSH, our protagonist. Thanks to KJH, she discovers love, cart food, average dishes, sand game, the joy of the salsa dance, an open-air gallery aso... Thanks to KJH, her horizon is broadened and enriched. She can feel again, her heart can see things which she couldn't before. And it is the same for The Little Prince. Since I had already compared KJH and CSH to the Little Prince, my main focus will be elsewhere here in order to avoid any repetition. Another similarity between these two works are the characters. I have the impression that certain people from The Little Prince resemble a lot to the characters from Encounter, like for example Chairman Kim. She could be compared to the King. The latter lives alone on his planet but he needs to have subjects in order to act as a King. And here, the Chairman Kim acts and lives like a queen. For her, she is royalty and her subjects have to follow her orders. Once she no longer needs them, she can discard them. Yet, at the end she ends up alone because she had abused her position. She didn't realize that for her position, she had to act reasonably in order to keep subjects around her. And The King in TLP (The Little Prince) is well aware of that. He knows that his demands have to be reasonable, yet he tends to abuse his power anyway. The contradiction is visible in both stories. Their sense of superiority can only exist as long as there is someone besides them but they are not aware of that. Then we have the businessman who could be also linked to the Chairman Kim who wants to possess more and more. Her thrust for money is endless that's why at the end, she is caught for bribery. But the most important character from TLP resembling to a character from Encounter is the fox. You might wonder about his identity in Encounter.... In my opinion, teacher Lee acts a lot like the fox. The first connection is her title. She is a teacher and the fox is the one who teaches The Little Prince what friendship is and what love is. He listens to him and gives explanation without giving him real advice. He doesn't just explain what friendship is, he teaches him through experience. He asks the prince to tame him and as such to create ties between them. The fox is the wise teacher, the one who is there for him and who declares that the colour of the wheat fields will always remind him of The Little Prince. And teacher Lee has a similar behavior in Encounter. She doesn't interact much between CSH and KJH, she always listens to both and explains things without giving any advice. She never stopped CSH from breaking up with KJH. She felt sad and sorry but she said nothing. Then in the dark room, she is the one who reminded CSH to enjoy the present because death could occur anytime. She mentioned missing her husband after his death... Yet she never told CSH to visit KJH. She let CSH make her decision. And that's exactly what the fox did too. He always let the little prince come to his own conclusion. He only helped him by giving him valuable information. Finally, the last comparison is the place. 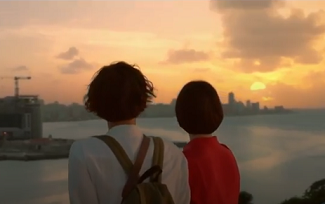 KJH and CSH met in Cuba, a country where they were on their own. So for them, Cuba was like a desert as they only interacted with each other. For them, the others were like inexistant. Don't forget that CSH and KJH didn't pay attention to the dancers during the sunset, they were both focused on the beautiful scenery. CSH didn't see the couple dancing. Then later, they walked barefoot without paying attention to others again. So they acted as if they were alone all this time. And to me, the desert from The Little Prince resembles a lot to Cuba. Although it is a desert, The Little Prince is able to meet the narrator, the fox, the other roses and the snake. It is not an empty place, it is a place where it is difficult to live. And the evening spent together in Cuba was exactly like that. CSH had trouble to walk to the top of the hill, she had lost her cellphone and purse therefore later they hadn't much money, it was quite difficult to manage to eat and have a good evening. Her situation is really similar to the aviator's situation: his plane needs to be repared and he has nothing. Yet despite everything, CSH was able to survive and to enjoy the evening: experience new things. And this is exactly what happened to the aviator and the little Prince. Despite the loneliness, the harshness of the environment, they were able to survive, to overcome the loneliness as both became close, just like CSH and KJH. Thanks a million @bebebisous33, really appreciate your time and thought and your analysis. Makes my love for the encounter grows deeper. Its interesting to know that many can explain n give thought on many different angle. You are the champion among all. I would like to give you an imaginary winning trophy. All the best. It's Wednesday again, but there are no more Encounter moments to look forward to. However, like everyone here, I love reading the analysis and comments regarding this enchanting drama. Thank you for sharing your insightful thoughts. Hi @bebebisous33 thank you so much for taking your precious 90 minutes each insight for us to understand every single characters, symbols, and philosophical tale in Encounter. Especially this Little Prince character compare to Cha Soo Hyun. This analysis struck me the most. Her situation is really similar to the aviator's situation: his plane needs to be repared and he has nothing. Yet despite everything, CSH was able to survive and to enjoy the evening: experience new things. And this is exactly what happened to the aviator and the little Prince. Oh wow! A testimonial from a multi-awarded (both internationally and nationally) Filipina actress and singer, Lea Salonga. Putting under spoiler her credentials. Very impressive. She knows her craft. Salonga was the first actress of Asian descent to play the roles of Éponine and Fantine in the musical Les Misérables on Broadway.She also portrayed Éponine and Fantine, respectively, in the musical's 10th and 25th anniversary concerts in London. She provided the singing voices of two official Disney Princesses: Jasmine in Aladdin (1992) and Fa Mulan in Mulan (1998). She was named a Disney Legend in 2011 for her work with The Walt Disney Company. Salonga starred as Mei-li in the 2002 Broadway version of Flower Drum Song. She has played numerous other stage, film and TV roles in the US, the Philippines and elsewhere. She has toured widely in the title role of Cinderella, among other roles, and as a concert artist. From 2015 to 2016, she returned to Broadway in Allegiance, and from 2017 to 2019 she appeared in the Broadway revival of Once on This Island. @gumtaek Being the musical nerd that I am, I jumped for joy when I saw this tweet! Hopefully this paves the way for more people to watch it (not that there are few). Let me just share a bit of the lyrics, eh? Ah, what a beautiful coincidence! From the responses to her tweet, I learned that she is not the type of person to praise liberally. So if she praises, it means it must be really gooooooooood! But we've known that all along, right? Oh my! Thank you from the bottom of my heart for sharing Lea Salonga's post!!! I can't believe these two worlds are colliding!!!! I love Lea Salonga!!! Lea Salonga is watching a Korean drama aaaahhhhhh. But on top of that it is my favorite drama. aaaaaah. Fingers cross that she will sing one of the OST songs. Or is that just my silly wishful thinking? @gumtaekThank you for posting you beat me! Coming from a very good singer and musical actress who only watch epeside 1 saying it is gooooooood is an honor. How to overcome this Encounter withdrawal syndrome???? - need to start reading this forum from page 1. @bebebisous33Again thank you for your great analysis to which I appreciate more the scene when I rewatch Encounter. Also to all who share their insights thank you so much.